A channeliser is a form of multiplexer consisting of one input and typically 10 to 30 narrowband bandpass filter outputs that can be contiguous or non-contiguous. They are used in receivers requiring a high probability of intercept in dense electromagnetic environments. The outputs often have detectors integrated to provide simultaneous signal detection in wide open ESM systems. TMS offers broadband IMA modules for both block conversion and digitally tuned conversion applications. Drawing upon a large design library of broadband thin film circuits, TMS can provide custom state of the art solutions for multi-octave applications for up and/or down conversion. Strengthening TMS engineering capabilities, we now offer digitally controlled standalone Set-on Receiver products. These receivers provide wideband, fast tuning and programmable set-on capability for EW applications, and digitally controlled wideband Frequency Locked Oscillators with internal modulation capability in amplitude, FM and phase while maintaining excellent spurious performance. In addition to standalone units, the products have been miniaturized to be used as a component to enhance performance of higher level subassemblies. Multi-function assemblies are offered including DIFM, SDLVA, Channelisers, Converters, Local Oscillators, and Switched Multiplexers. Teledyne Defence & Space's (TDS) patented designs have produced a number of different types of filters incorporating switches. 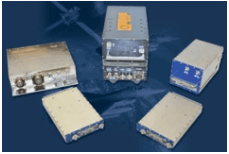 These are all generally wideband for Electronic Warfare applications and enable the control of the frequency spectrum into any given system. Teledyne Microwave Solutions has long been a trusted industry supplier of advanced Synthesizers, Converters and Transceivers. TMS's Frequency Synthesizers are available from the very complex dual loop frequency synthesizer to more simple phase locked loop designs, supporting a number of communication bands from L-Band through Ka-Band. Transceiver units simultaneously receive and transmit radio frequency (RF) signals with carrier frequencies over multiple octaves from 500 MHz to 40 GHz and IF instantaneous bandwidths (IBW) of 500MHz.